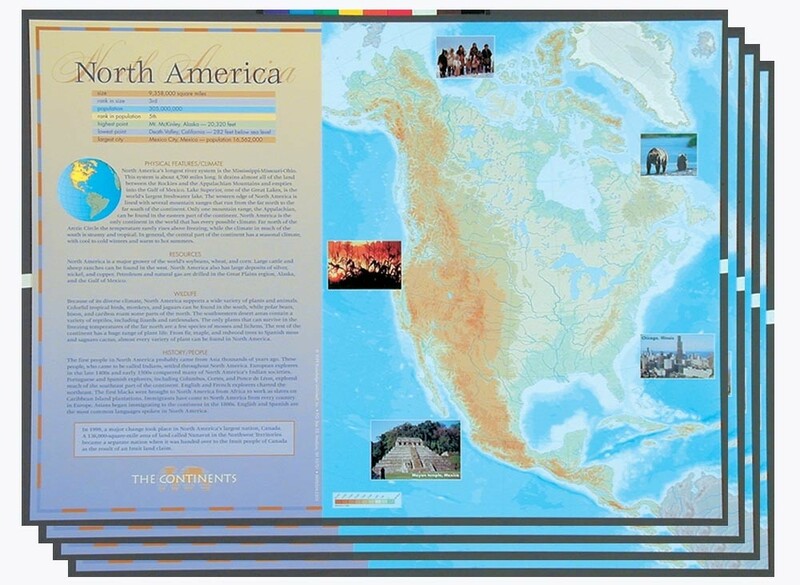 This unique and richly illustrated set of poster maps contains a world of information for your students. 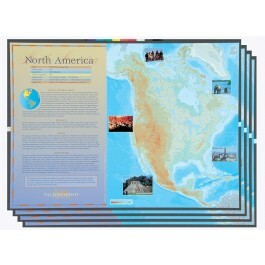 Each poster features a different continent and includes a map, vital statistics, and other important features and information about that continent. A smaller inset map shows where each continent is located on the globe. Each poster also contains brief, informative paragraphs about the continent's people, climate, resources, and wildlife.